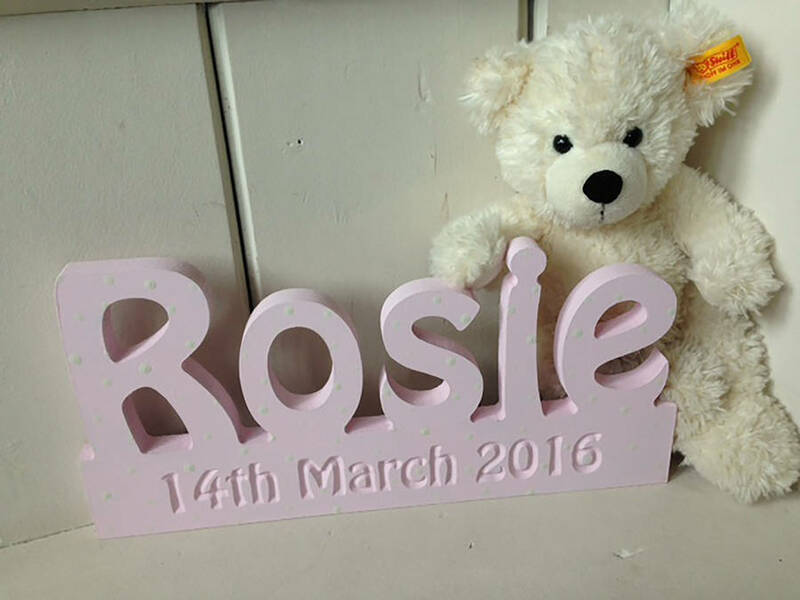 Here we have a fan freestanding Name and Date Of Birth wooden block. 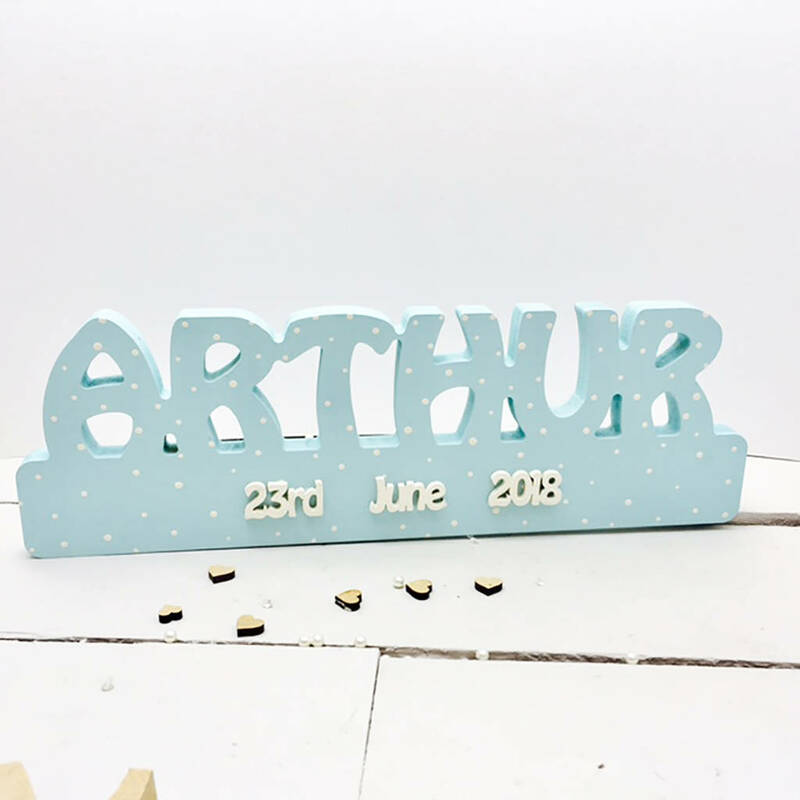 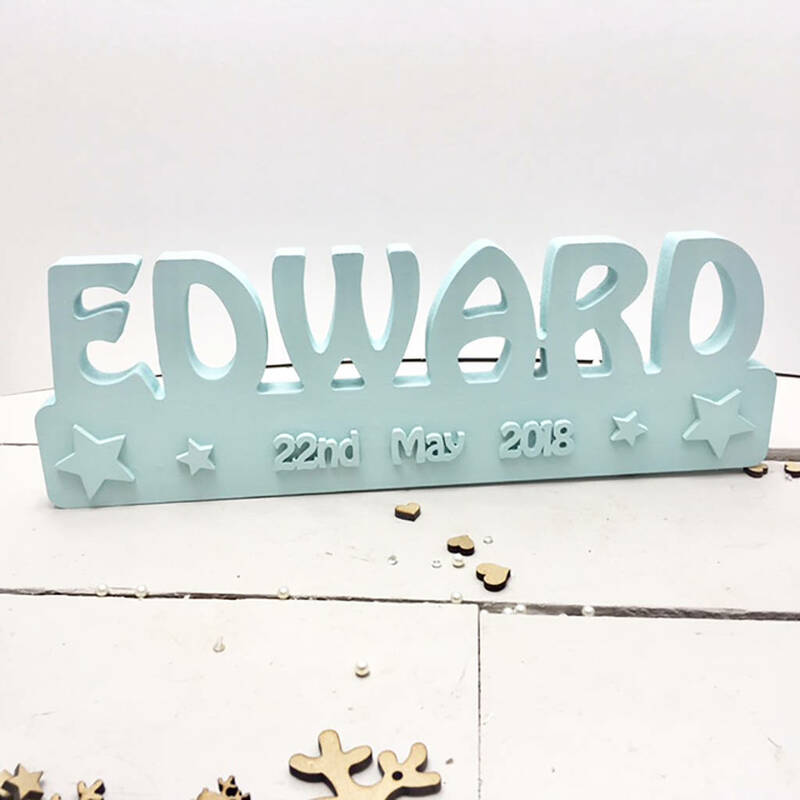 What a perfect New Baby gift - here we have a fab freestanding block with cut out lettering above and the new baby's date of birth etched underneath. 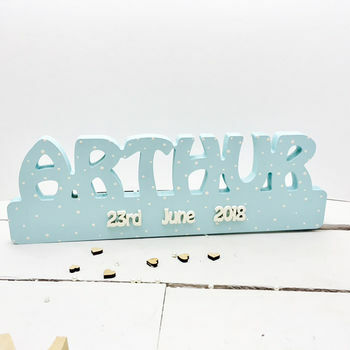 Standing at 15cms tall, (length will depend on how many letters the child's name is), it would look fab on the nursery bookshelf or window sill. 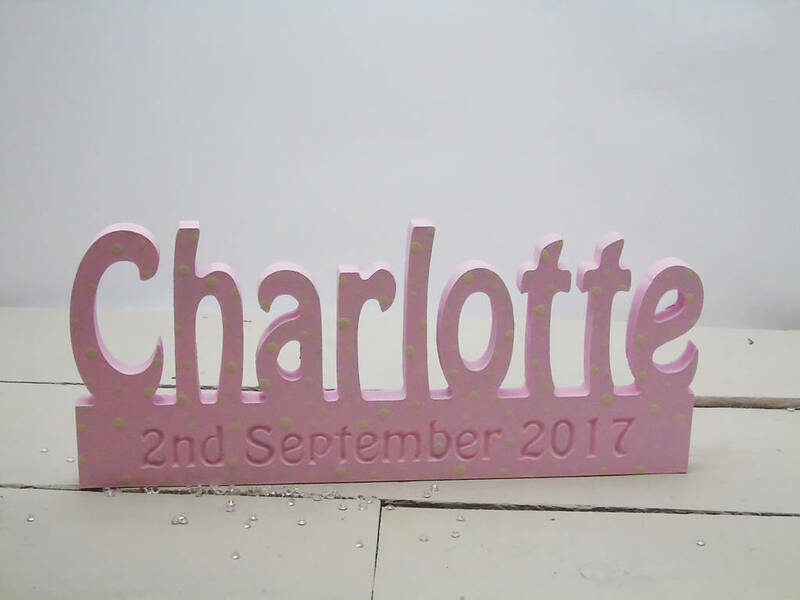 These name blocks can come in a number of different background colours: Ivory white, pale pink, pale blue, red, navy blue, hot pink or black. 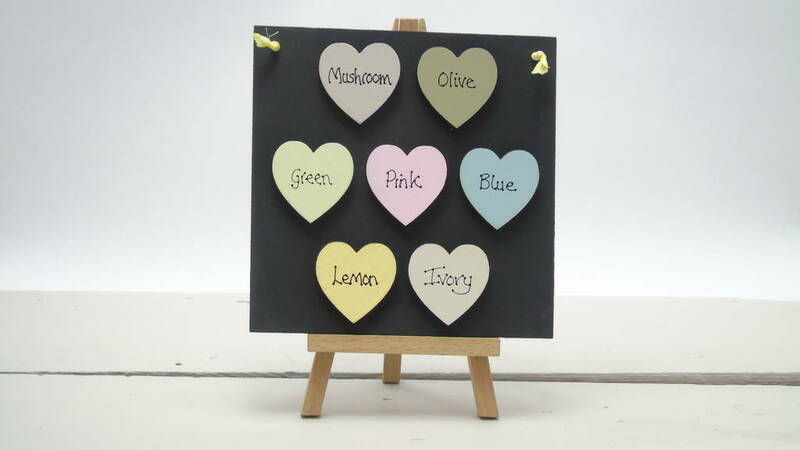 The finish can either be plain, have ivory polka dots or have a light glitter shimmer.